This VTech Sit to Stand Alphabet Train designed by V-tech is a complete package for your little one especially when they are learning to walk. The train comes with fun-filled activities aimed at enhancing motor skills, learning skills in your child. The caboose can be easily converted from walker to wagon as and when required. 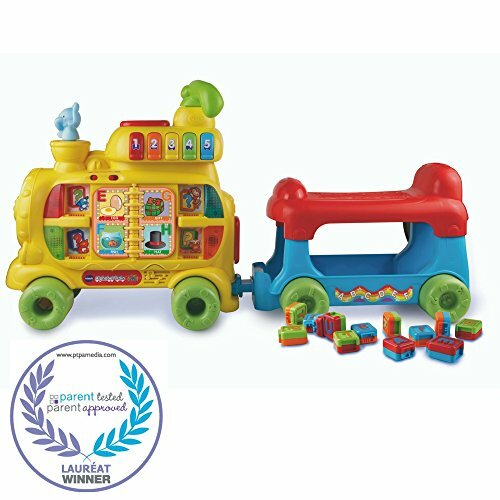 There is no better achievement than to see your little one rise and shine; thanks to the creative and innovative toys, the daunting task of making children learn has become a complete fun activity for both, the parents and children. 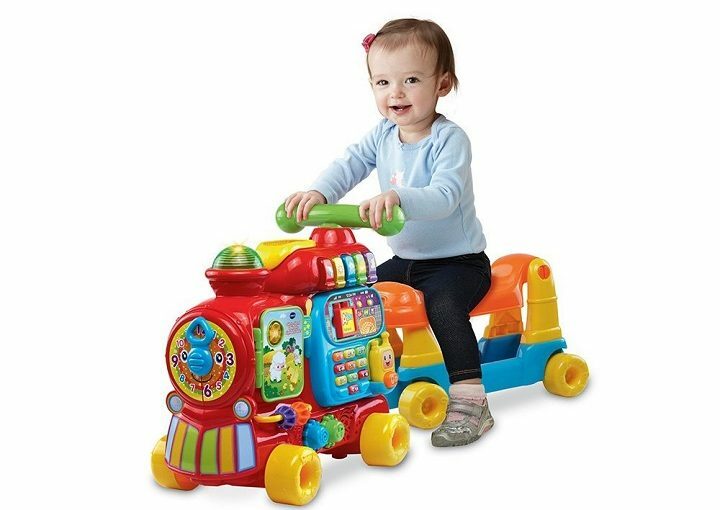 VTech Activity Walker has always been known to manufacture creative and most innovative toys which can be fun to play and safe to use for children. The latest addition to this is the VTech ultimate alphabet train. This mini bag of joy entails all the features which can keep your child engaged and at the same time help them develop recognition and motor skills. This little bundle of surprise contains different activities which will help your child learn and grow. The vetch sit-to-stand alphabet train will help your child learn and develop the motor skills in different ways. Coming to its more extravagant feature than the sit-to-stand alphabet train consists of 13 double-sided letter blocks which help to enhance the learning skills of your children as well as it also helps in developing the creative skills. The blocks are the best way to engage children and make them creative. 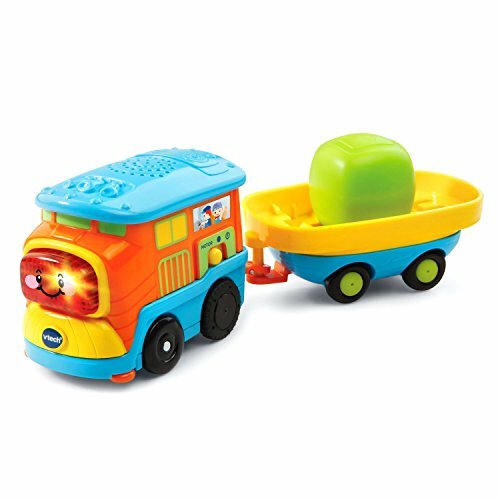 Further, this little VTech Train can anytime be converted into a ride-on experience, and when required it can be transformed into a walker, making it a perfect VTech Activity Walker toy for your little one. This Alphabet Train is laced with 100 songs, rhymes and melodies which can be fun to listen along with imparting education. 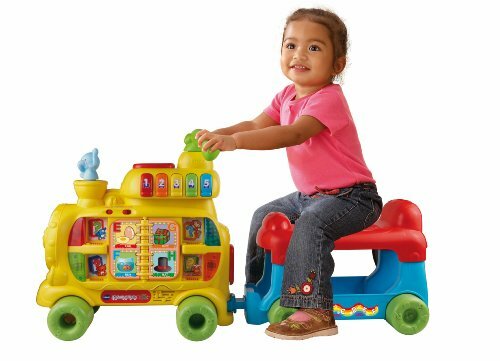 Your child can also learn to play piano with this Vtech grow and go, Walker, sit-to-stand alphabet train also has piano keys. And the story doesn’t end here, the sit-to-stand train also has rolling beads, turning clock hand, which is the best way to teach counting to your children along with introducing them to the basic education. There is a number pad or a dialer pad along with a walkie-talkie allowing you to enact a fun role play with your child. All-in-all, it has been designed in a manner such that you can completely use it as a learning medium for your children. The sit-to-stand alphabet train is an excellent way to make your child learn new things and introduce him to alphabets, number, color recognition and development of other motor skills. The most daunting task which parents face today is engaging their children in learning activities. What the vetch sit and stand Walker is a perfect medium to let your little one enjoy his learning phase and that too without being cranky and fussy. With so many activities packed in one toy, it makes it very easy for you to store and carry. Apart from the attractive look of the train, it can be used as a ride on or as a baby walker. With just one toy in your house, you are bringing in a complete set of toys. 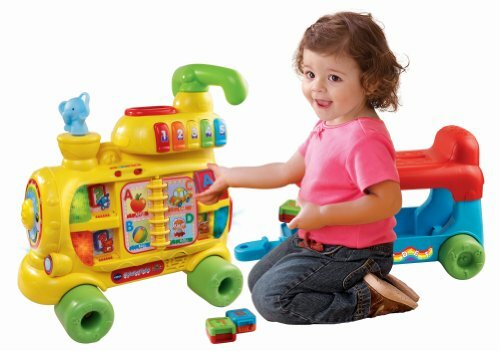 Vtech walker is Easy to use. Can be easily converted from ride-on to the walker and vice versa. Helps in the development of recognition and motor skills. It's compact, light weight and can be easily carried to different places. There are no drawbacks or problems that have been reported till now, but we suggest initial parental guidance until your child becomes well-acquainted with the toy. The Vtech alphabet train is a perfect choice if you are looking for an interactive game; this has been designed to keep your child engaged without compromising on his safety. The company adheres to strict quality standards while manufacturing its products and the name itself exemplifies high standards of quality. All the products manufactured under the umbrella of VTech have passed quality test and are certified and fit to be used by children between the age group of 12 months to 36 months. You can buy this beautiful product online and give your child a great way to enjoy and learn at the same time. Book one for your little one today and make learning fun. 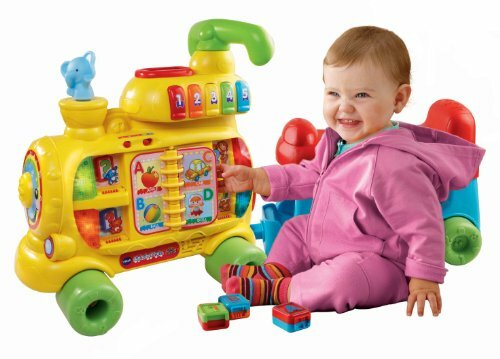 ​We can safely conclude by saying that this Vtech train is the ultimate interactive toy gift for your sweet kid. It presents him with loads of entertaining features while inculcating healthy learning habits along with helping them develop recognition and motor skills.